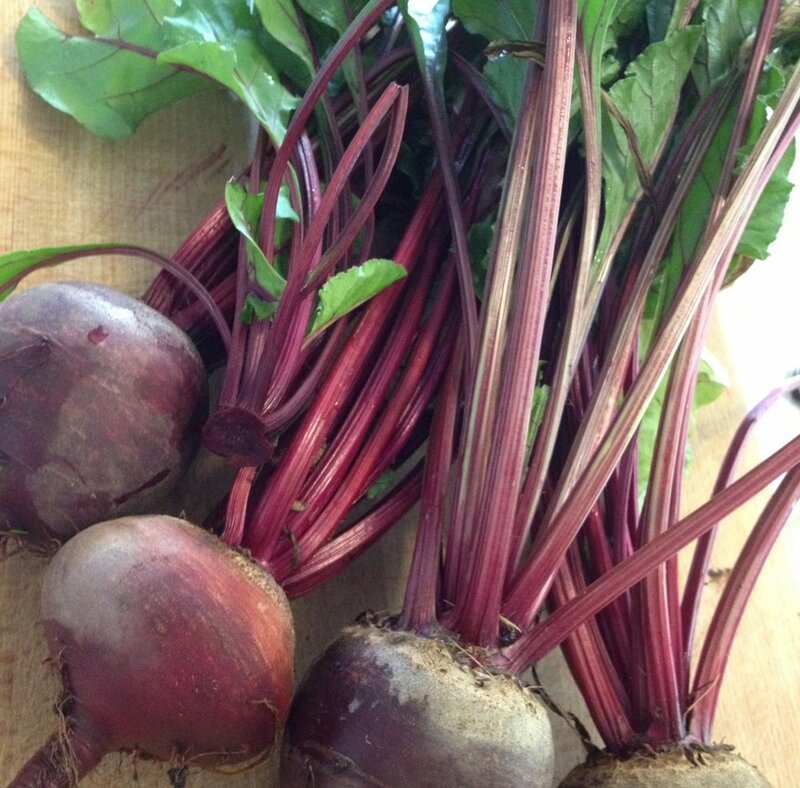 Rub beets with skin on in oil and sprinkle with pepper. Wrap in foil, seal the foil well so they're sealed. You can wrap 2 together or wrap them individually. Roast for 60 minutes. Let them cool and rub the skins off and slice. These can be made ahead of time and refrigerated in an airtight container. Mix miso, oil, vinegar and lemon juice together. Dress the beets with miso mixture and top with greens, chopped nuts and/or feta cheese.